Customer reviews & Feedback form | Cross Stitching Heaven. Please feel free to read my customer reviews or add one yourself. I always take great care and great pride in all the cross stitch projects I work on. Making sure that I complete and return them as quickly as possible. It would be great to hear your thoughts and comments on work that I have completed for you, my customers. I have added a feedback page to the site. Please feel free to comments on the service I have provided below. 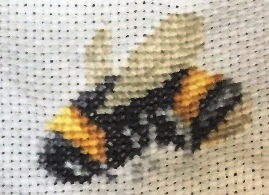 Emma’s patience and skills transformed my novice cross stitch skills into a gift that became an heirloom for my Grandchildren that I will be proud of.